There is no better experience than the one you get here at the Samuel Adams Brewery. Learn all about Samuel Adams, brewer and patriot. 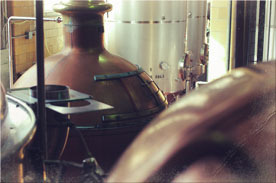 Experience the entire brewing process, from start to finish. Taste the special malts used to brew Samuel Adams beers and smell the Hallertau hops. Sample a few award winning beers. We'll grab dinner afterwords next door at Bella Luna.